In partnership with the team at Deramores, we’re delighted to bring you something extra special: Flash the Greyhound and Freddie the Schnauzer. 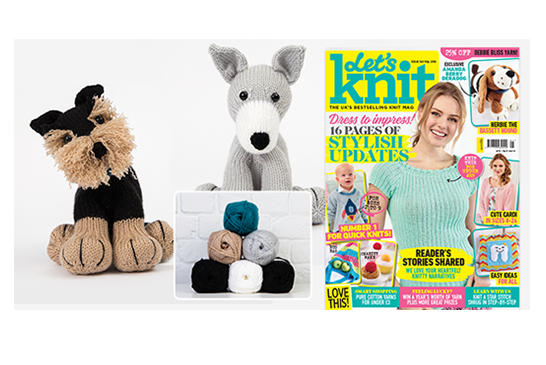 Designed in the Award Winning Deramores Stu-dio DK by the brilliant Amanda Berry of Fluff and Fuzz, this gift includes the pattern for both Dera-Dogs and all the yarn you need. *Terms & conditions apply, click through to payment page for details. Star subscriber - coming soon!